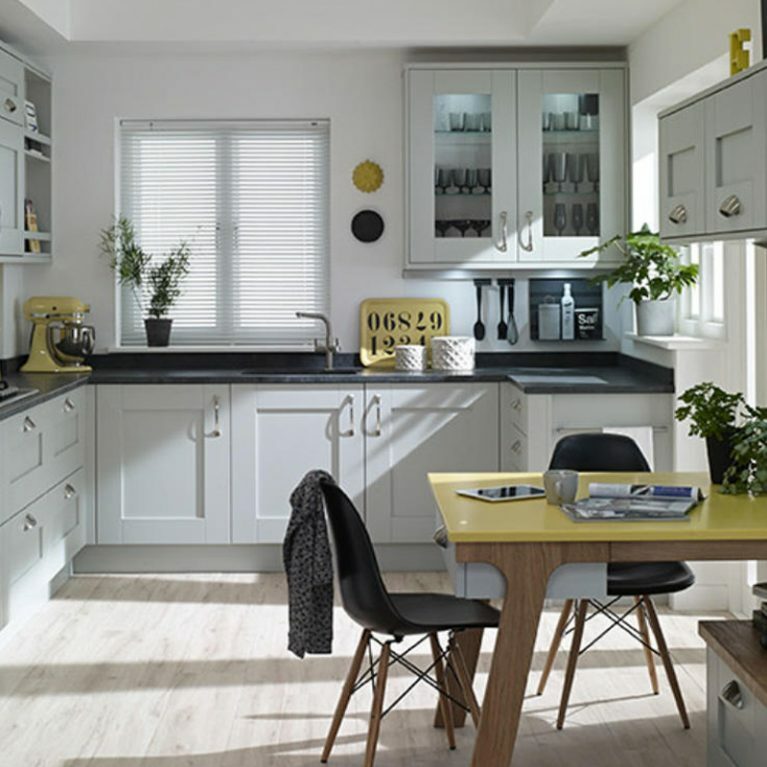 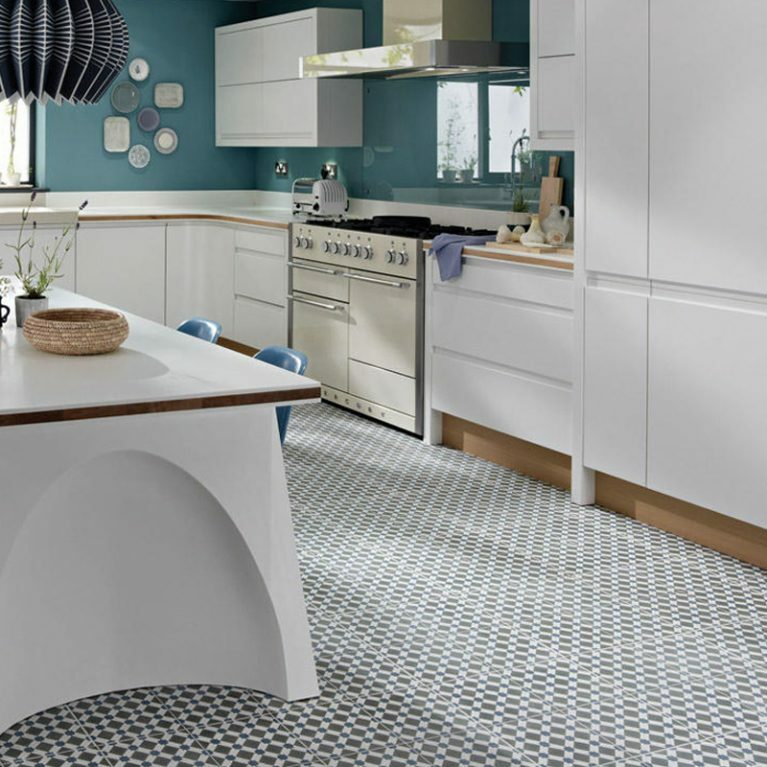 If you want a kitchen that is fun, vibrant and full of character then you need look no further than the Milbourne Painted, available immediately from Number One Kitchens. 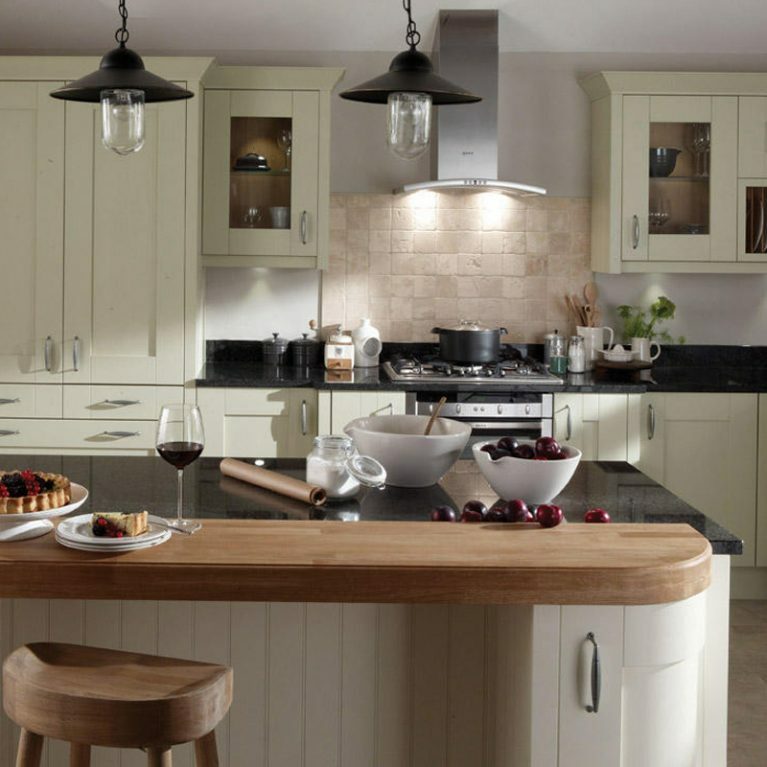 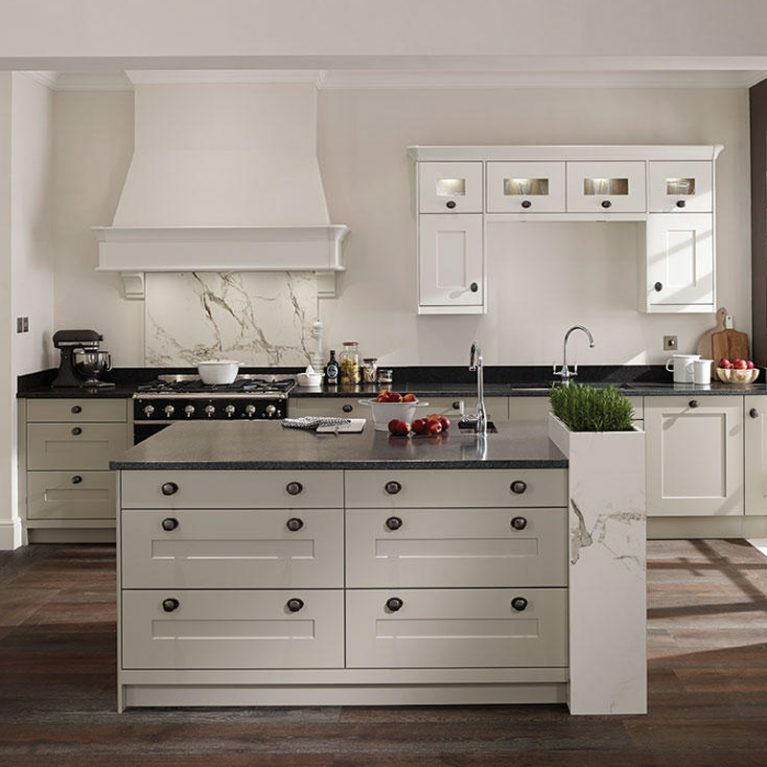 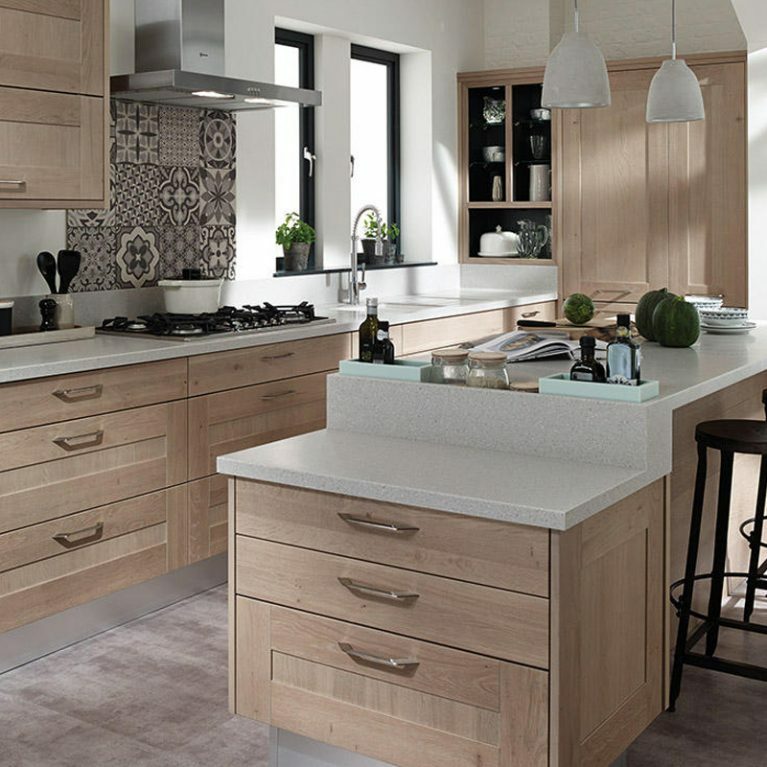 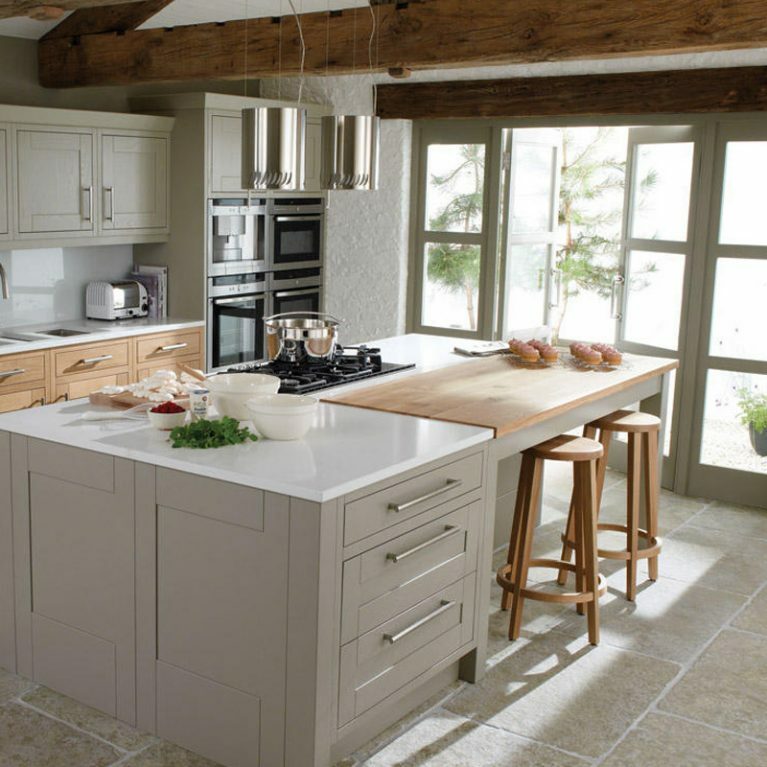 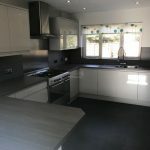 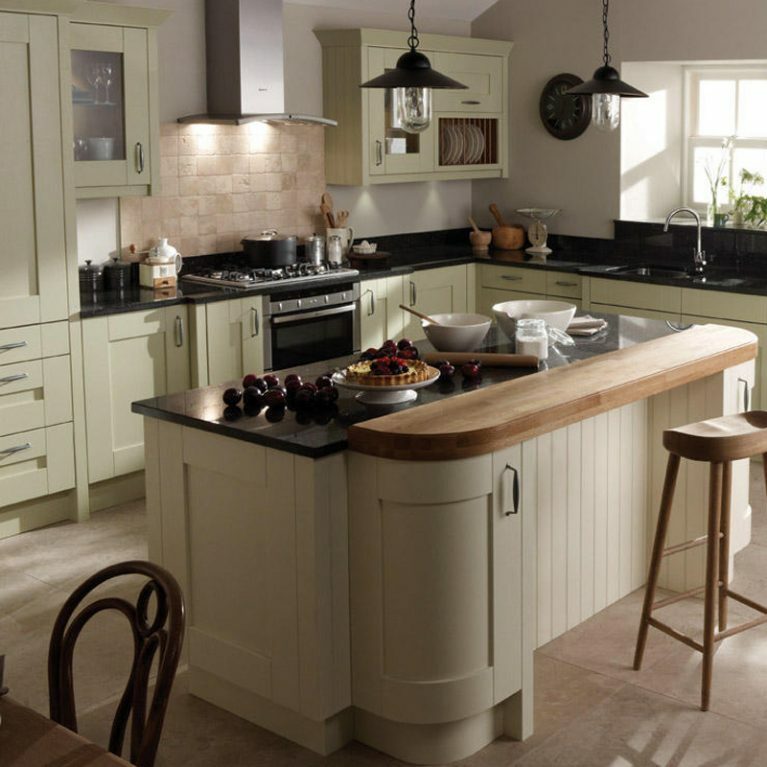 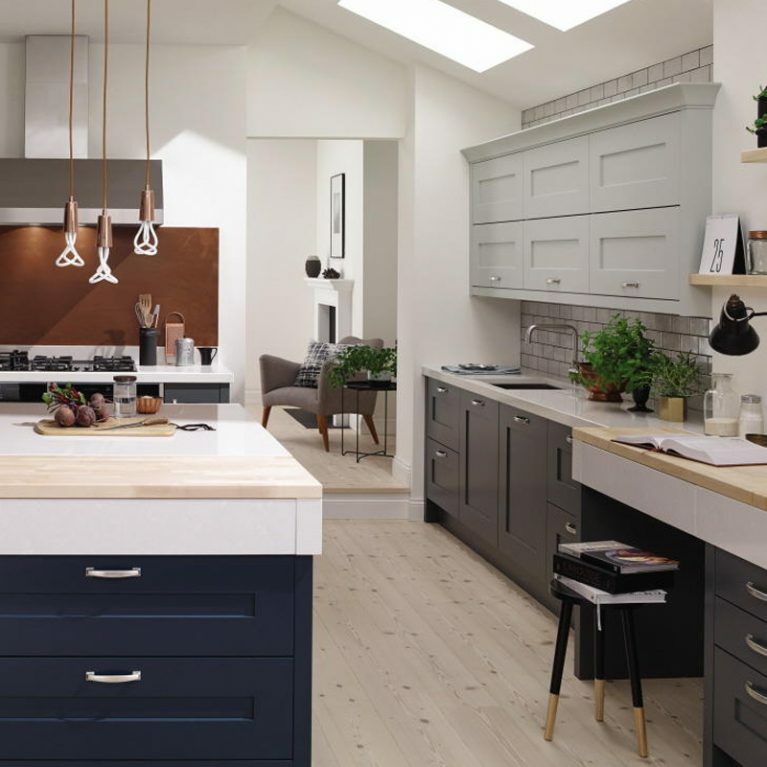 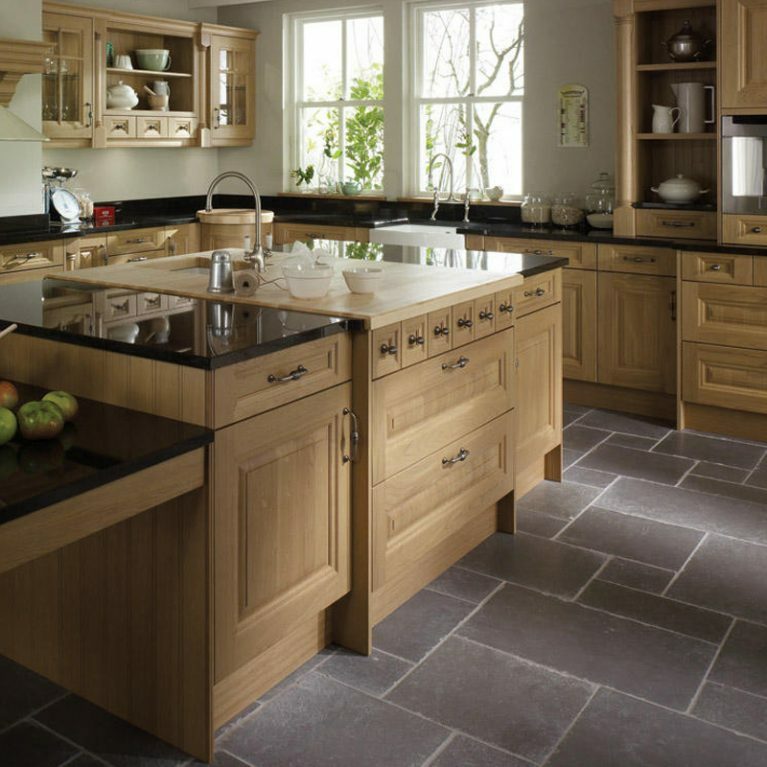 This wonderful shaker style kitchen utilises two gorgeous contrasting shades from the selection of 27 matte painted colours available with Number One Kitchens to create an absolutely gorgeous colourpop effect kitchen. 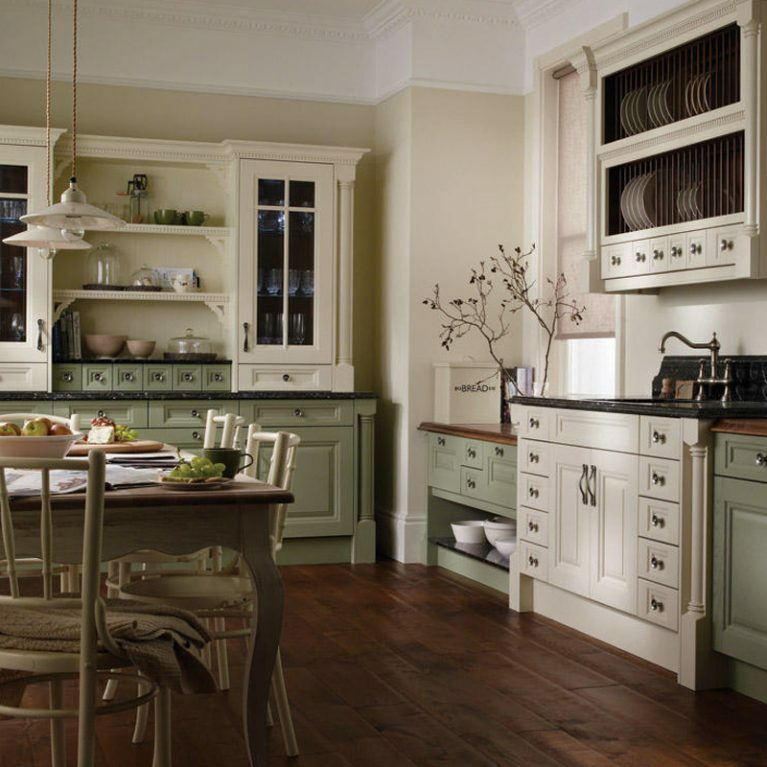 The alabaster and chalk blue paints compliment each other perfectly, with alabaster creating the ultimate neutral foundation to support the chalk blue colour pop. 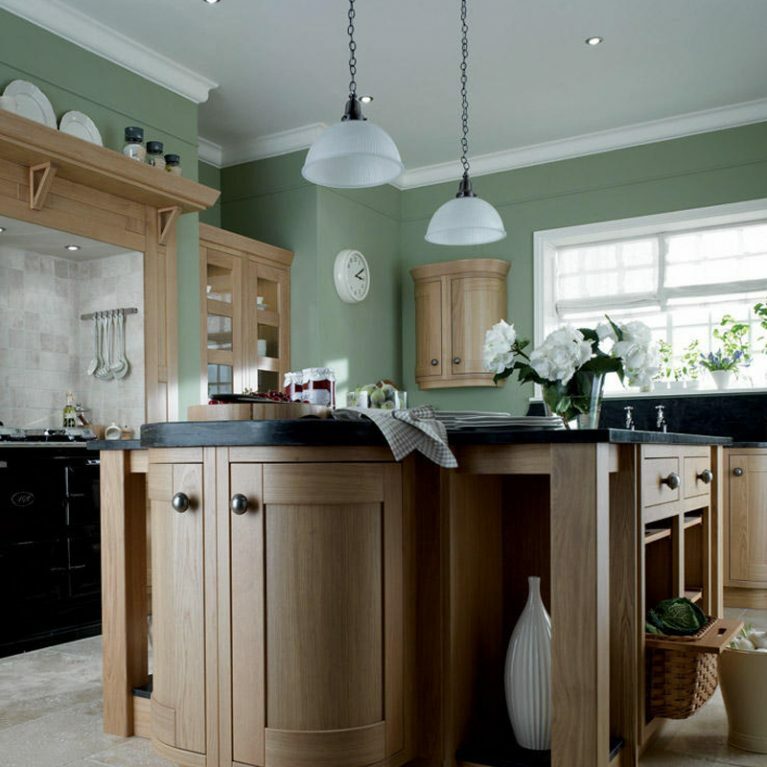 The colours work together in style, further accentuated by the oak-style kitchen counter surfaces which tie the entire look together. 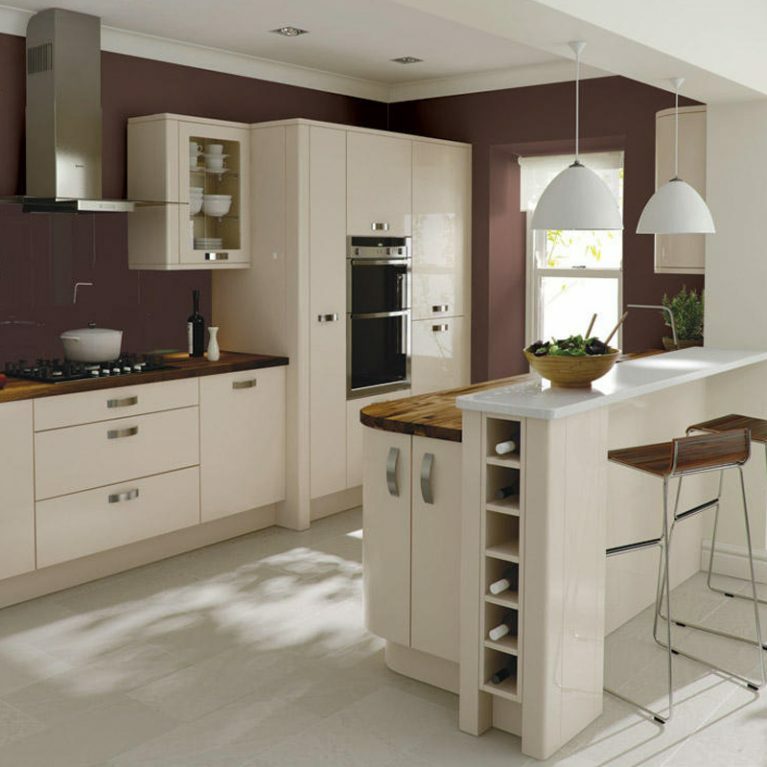 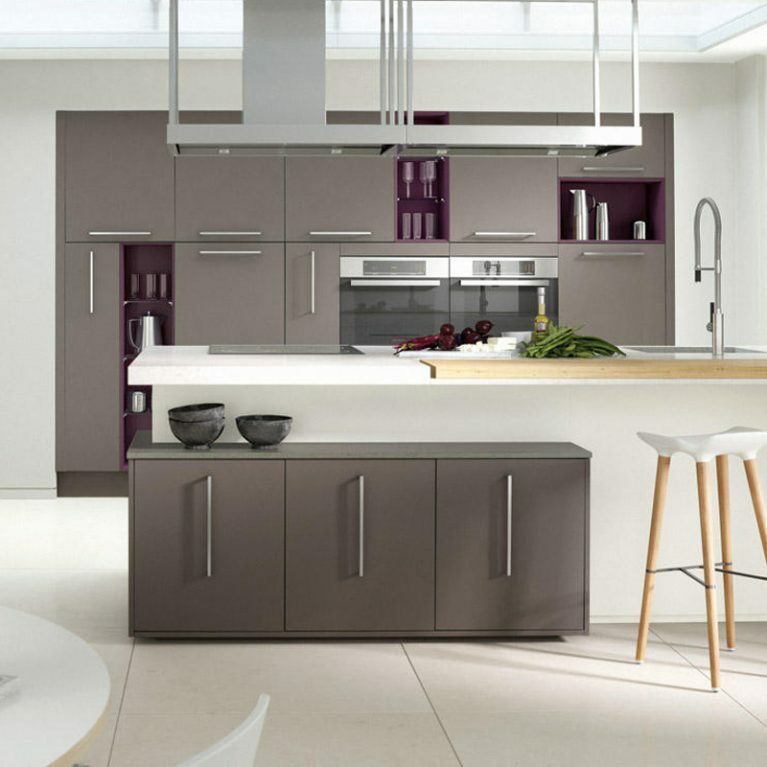 Also shown are a few other colour options to get your creative juices flowing and to inspire you to design your dream kitchen. 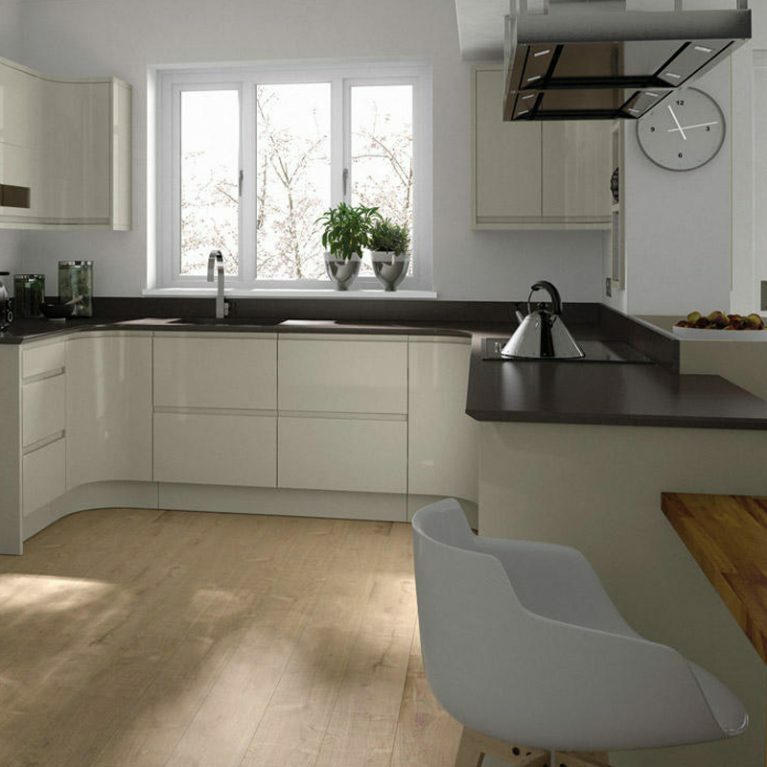 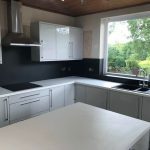 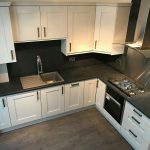 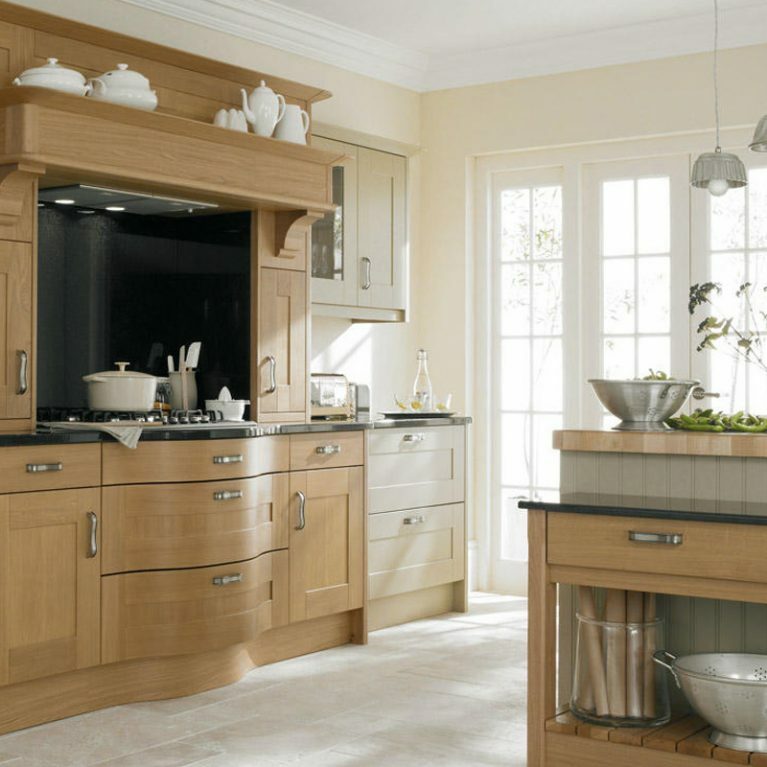 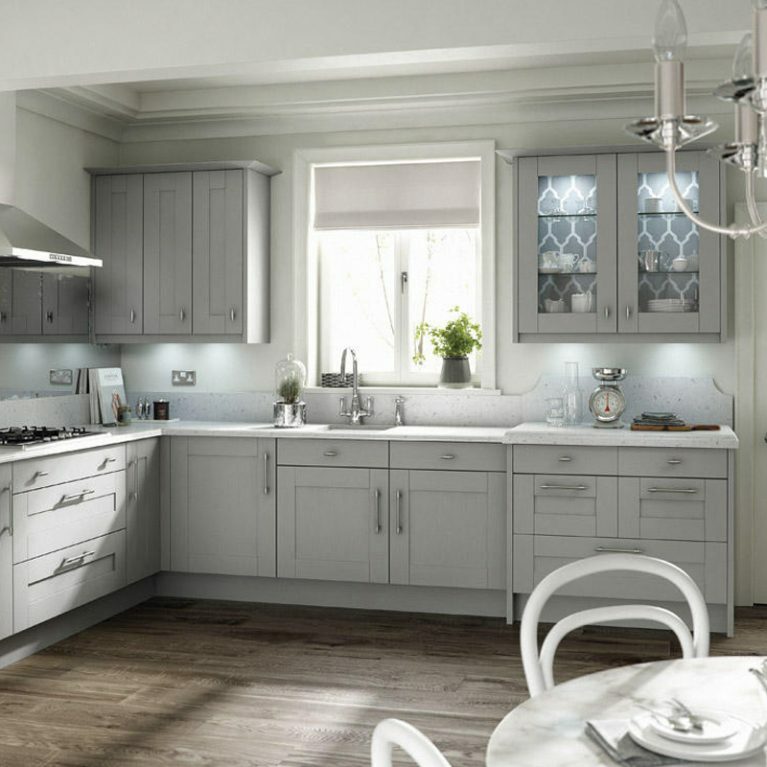 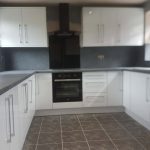 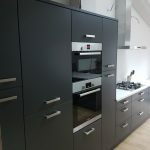 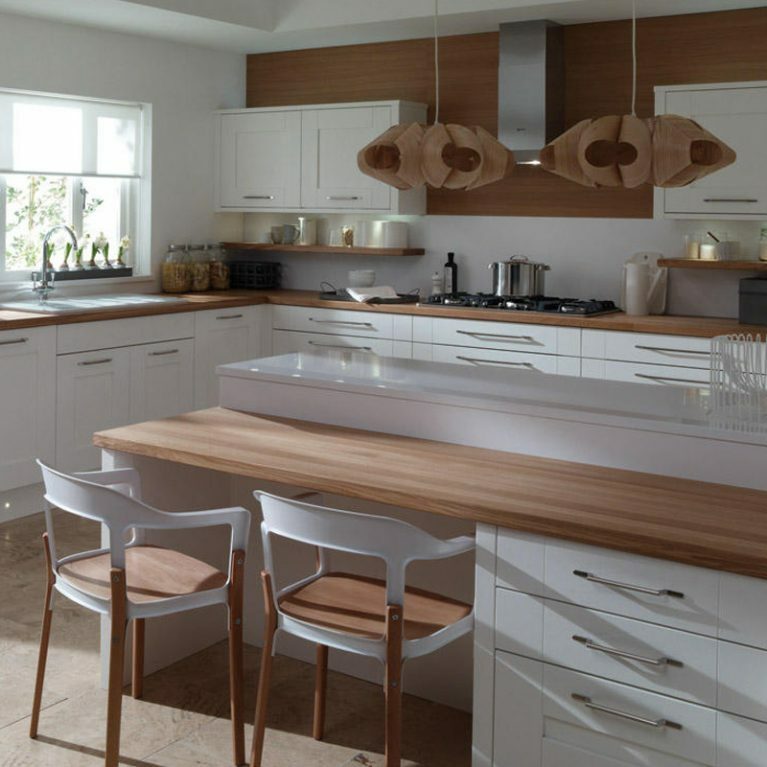 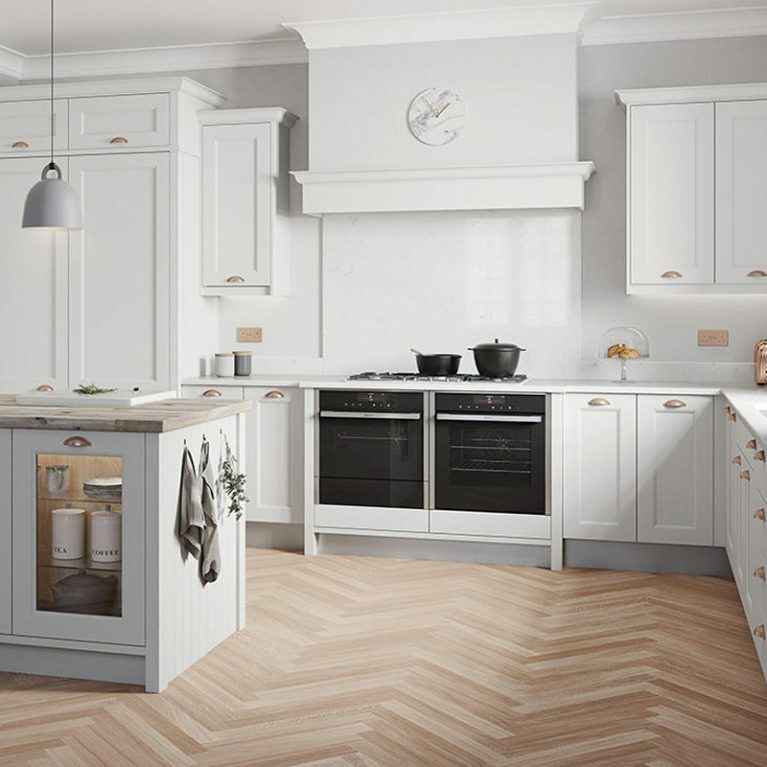 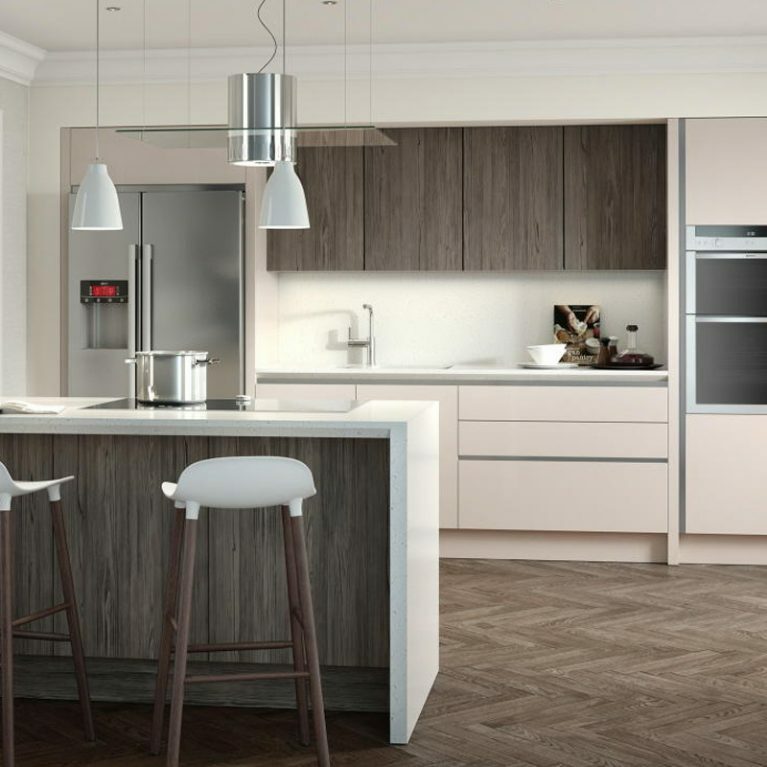 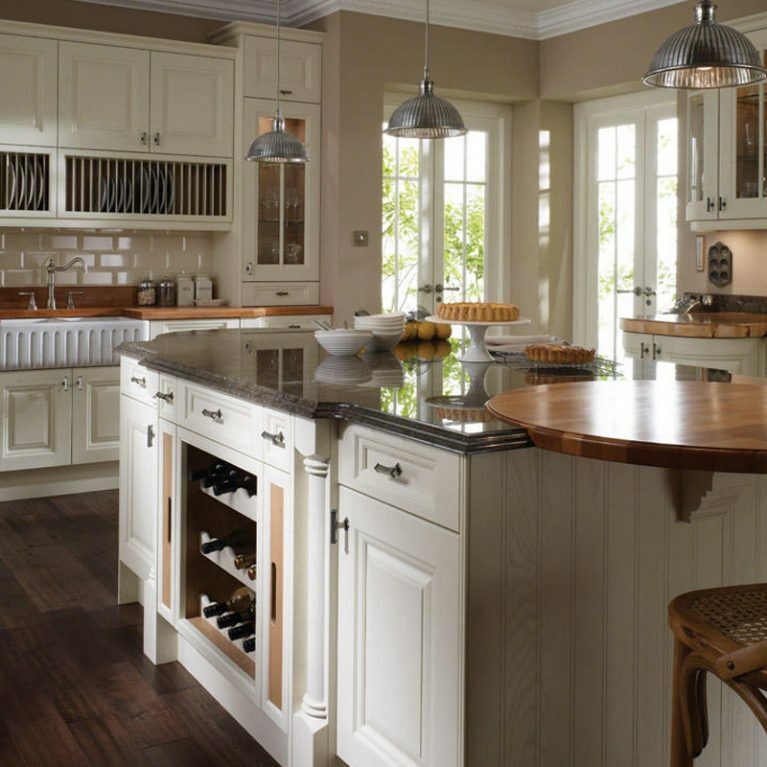 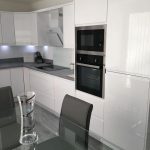 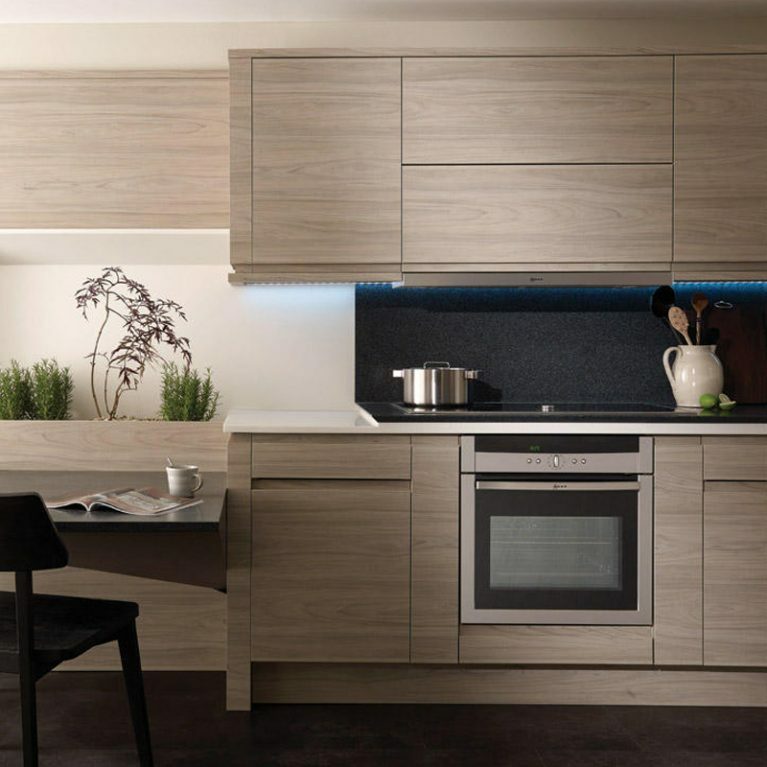 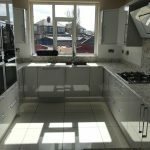 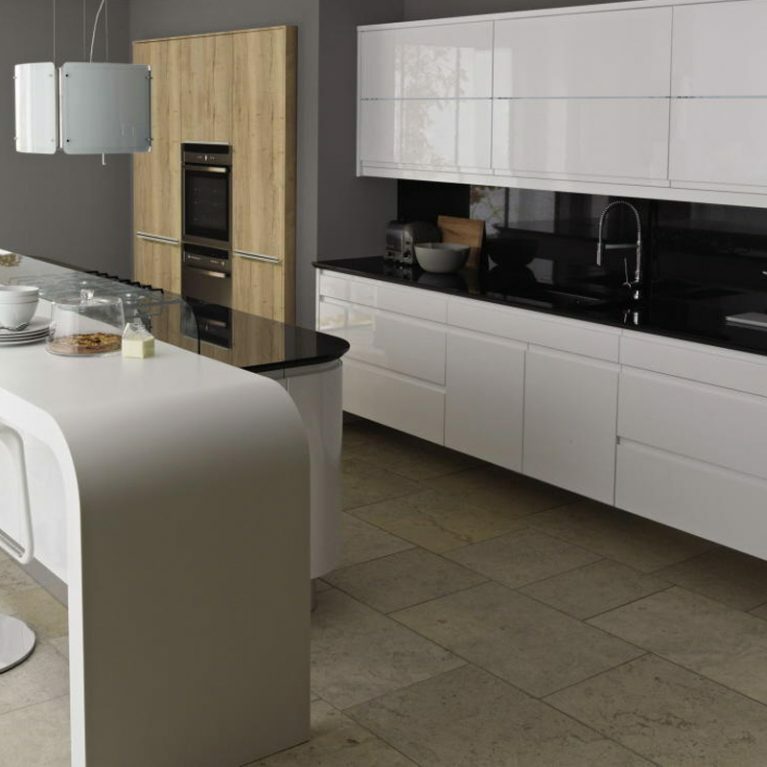 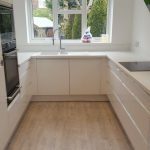 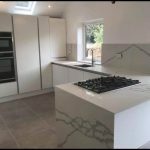 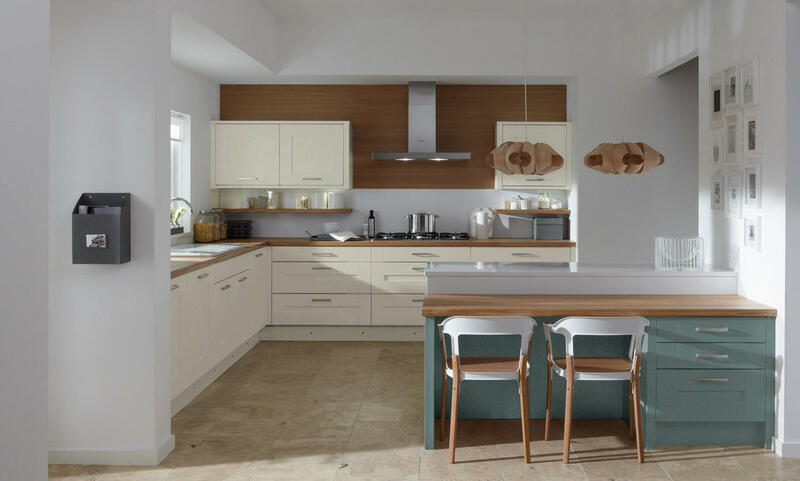 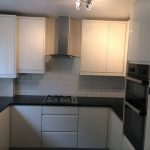 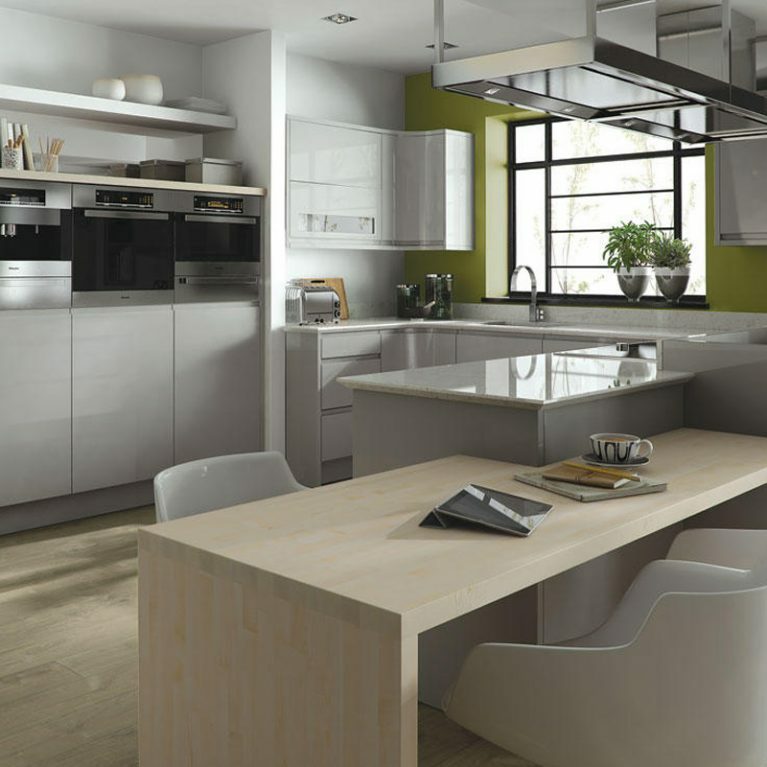 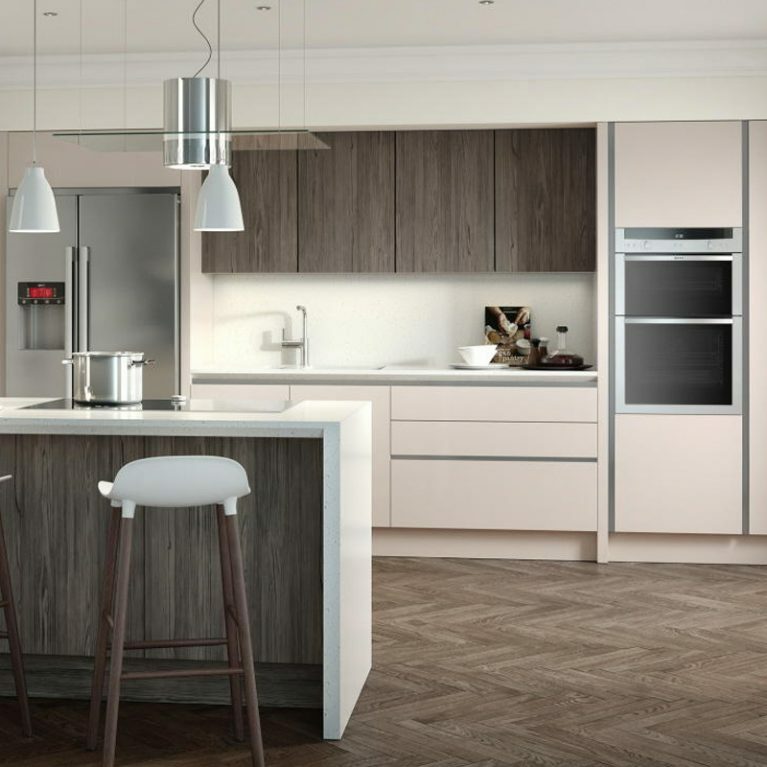 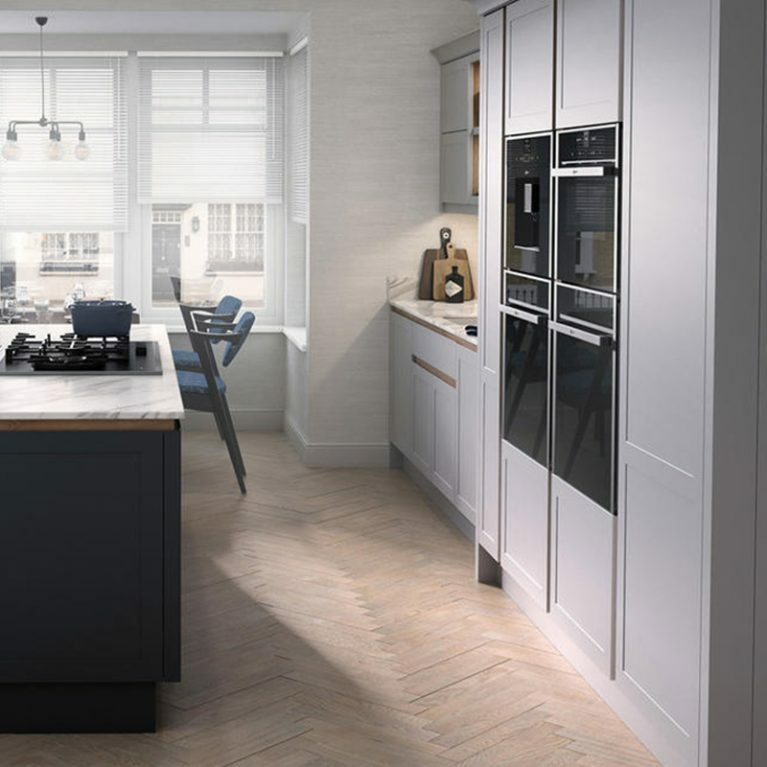 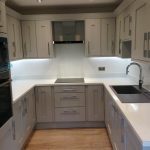 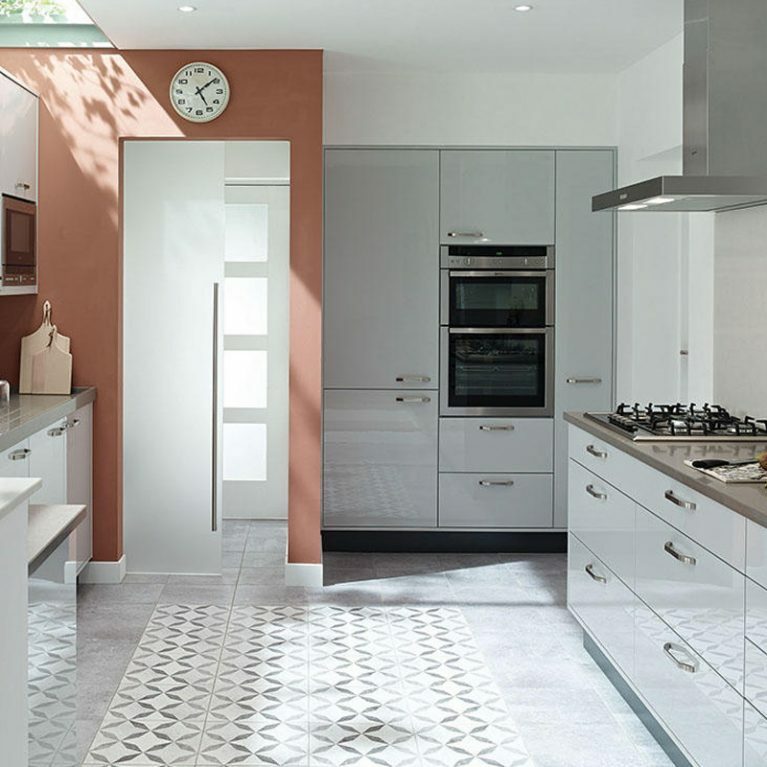 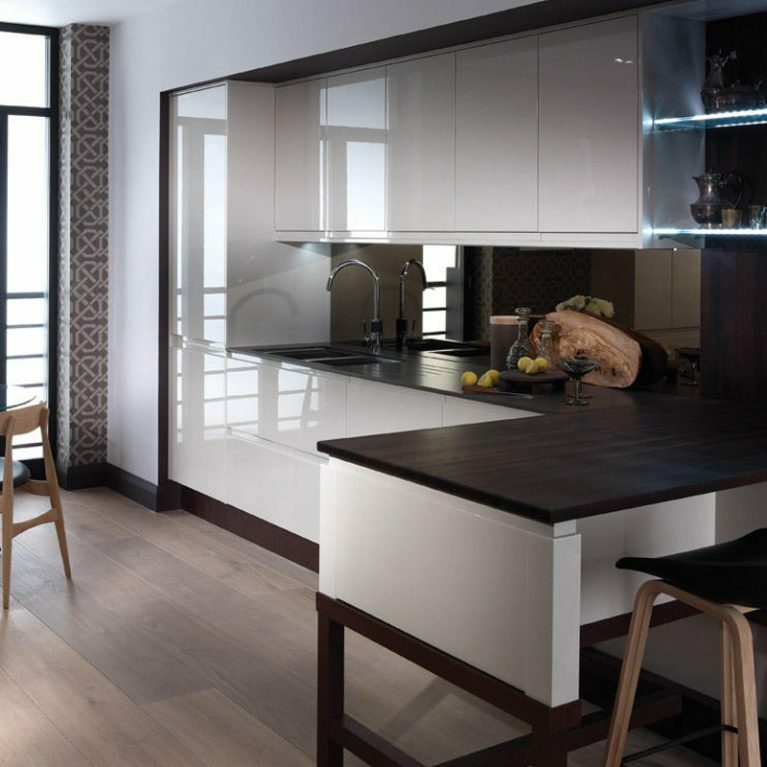 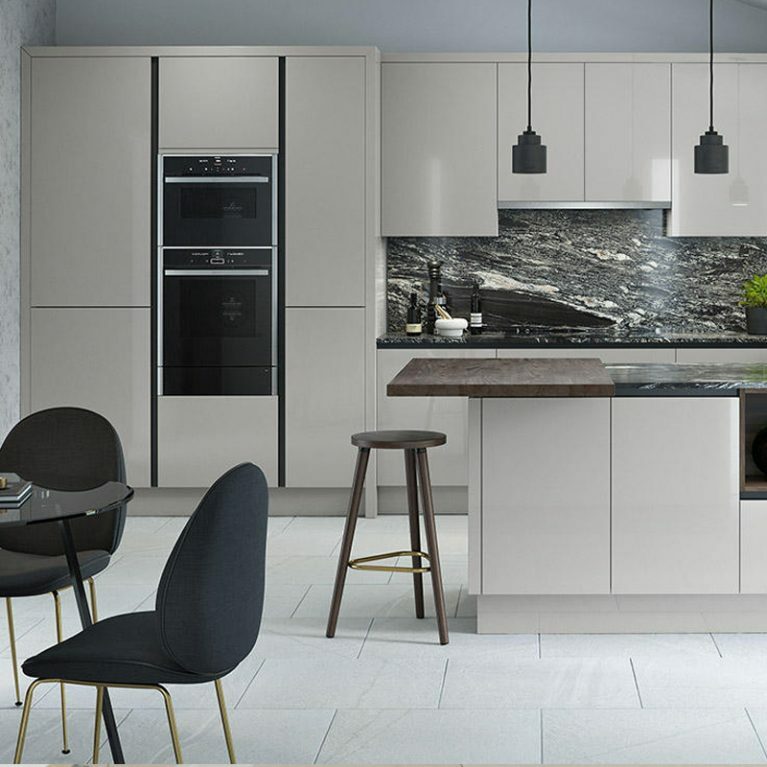 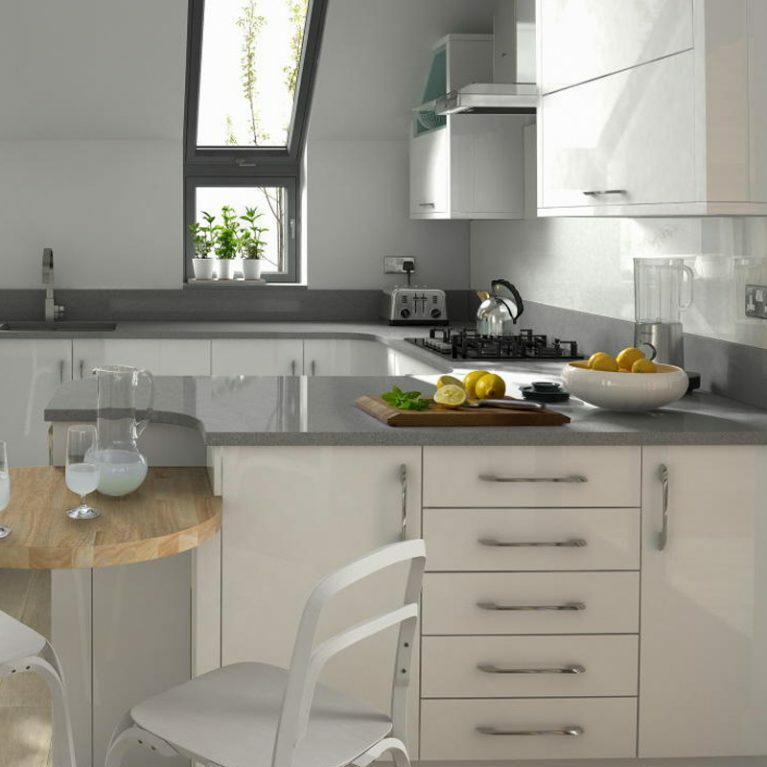 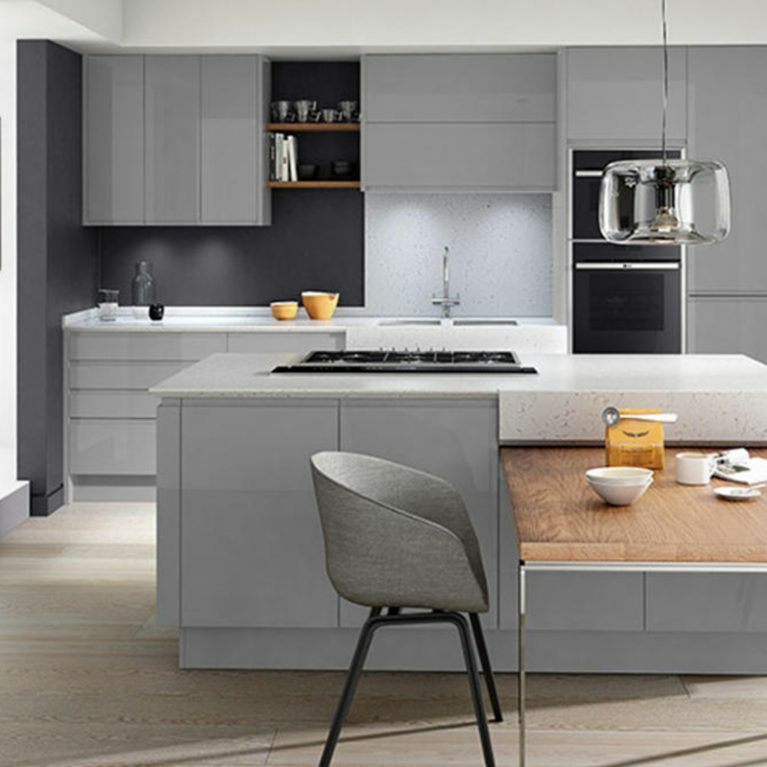 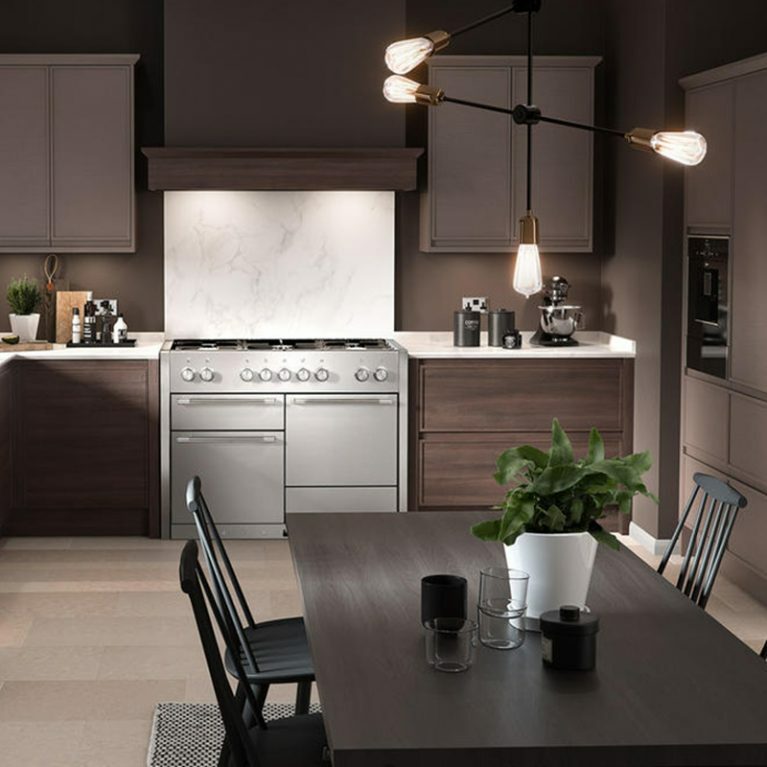 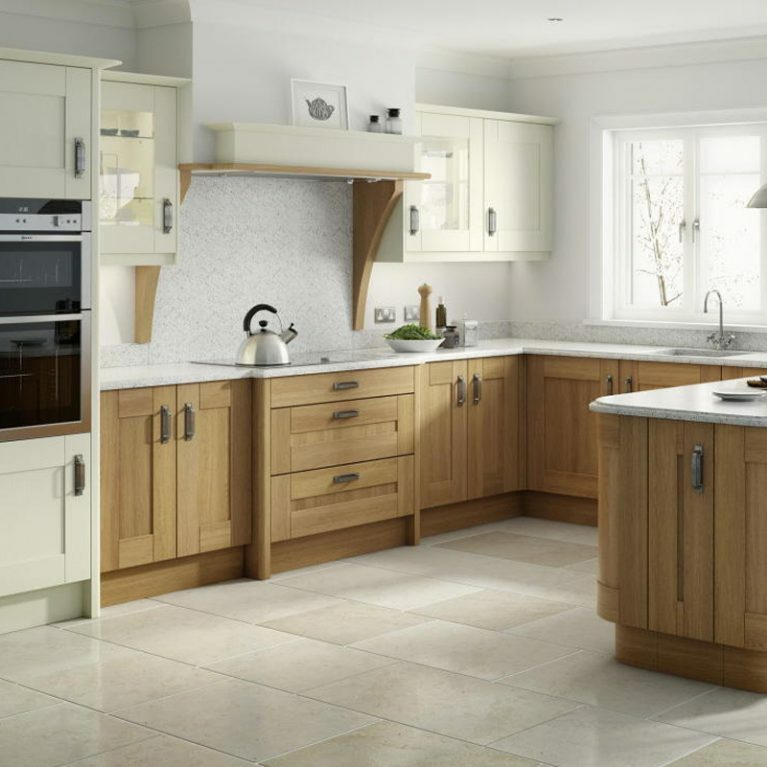 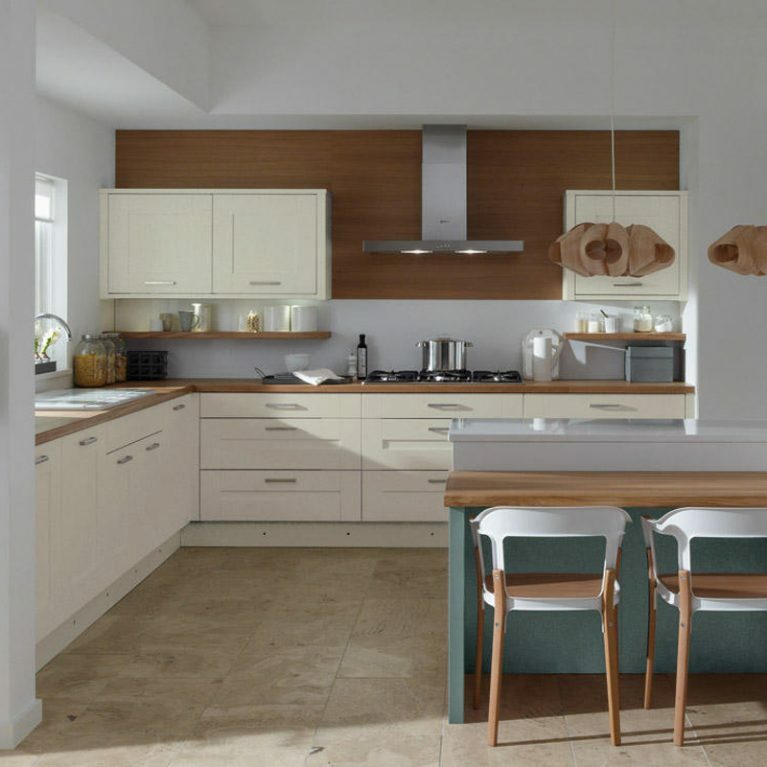 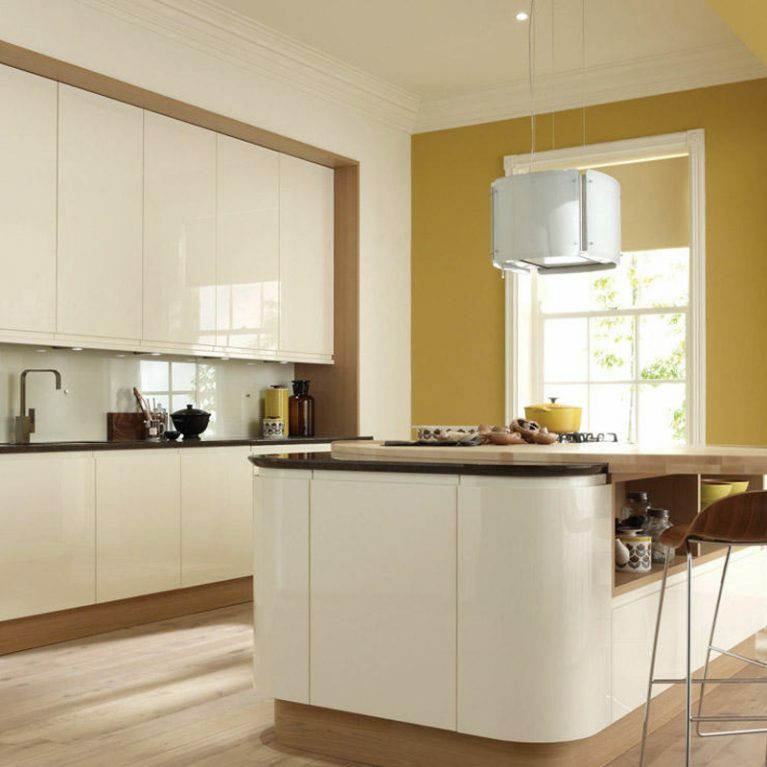 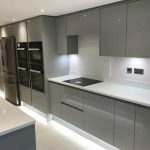 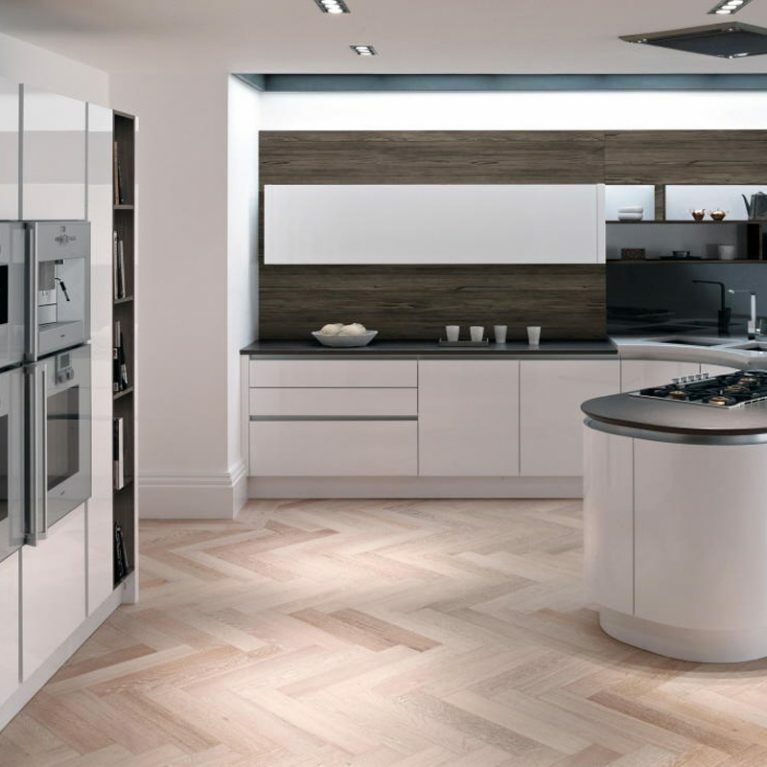 Of course, as with all Number One Kitchens designs, the Milbourne Painted kitchen is completely customisable to your personal tastes and desires. 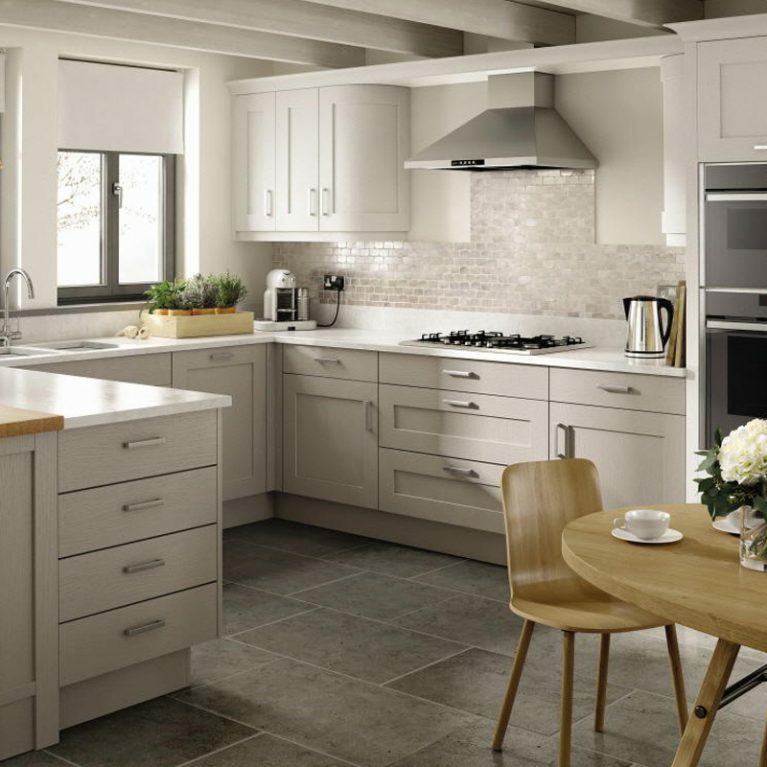 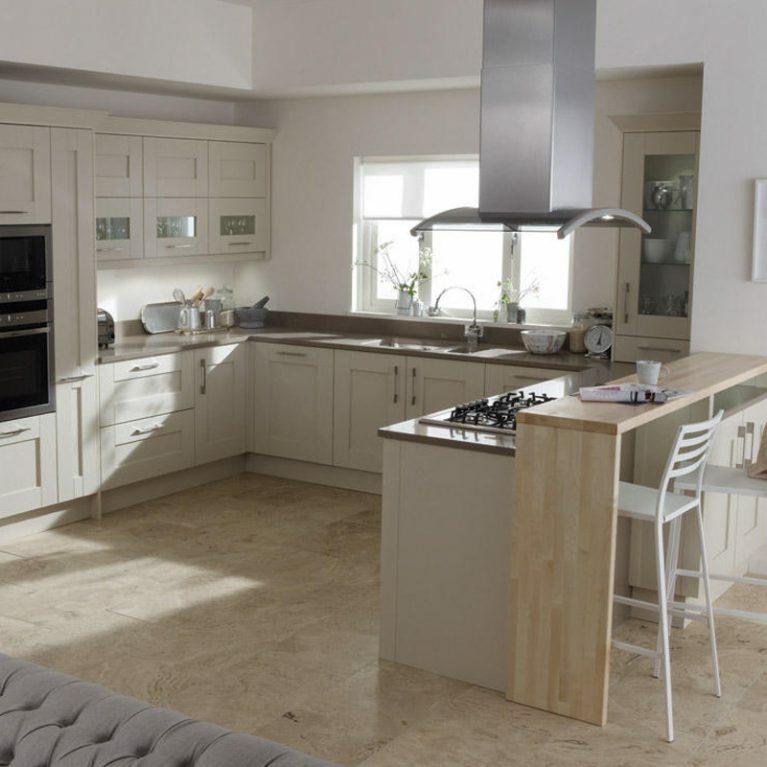 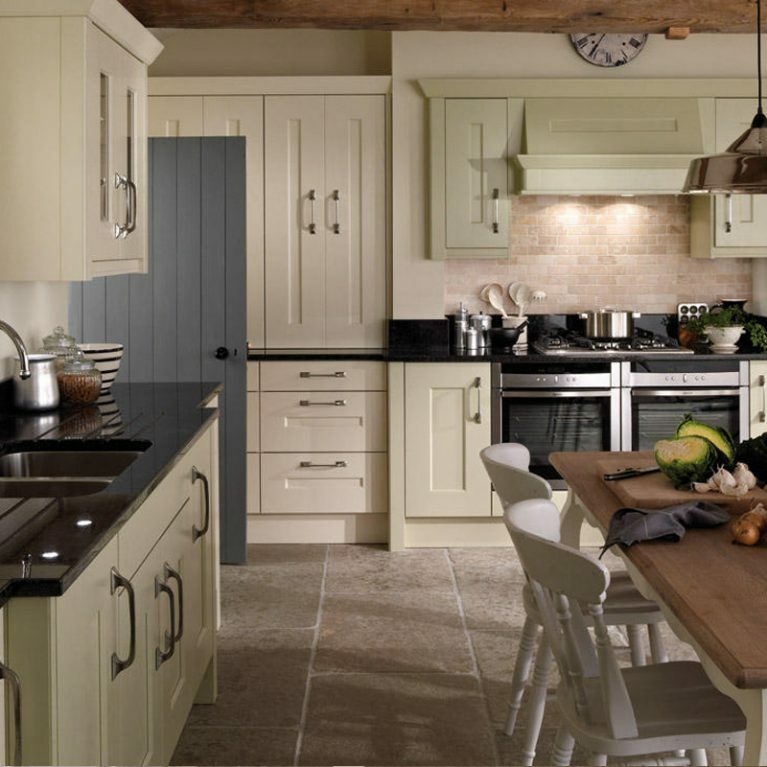 Choose from any of the 27 paint shades and create your very own Milbourne Painted kitchen, finished with work surfaces of your own choice. 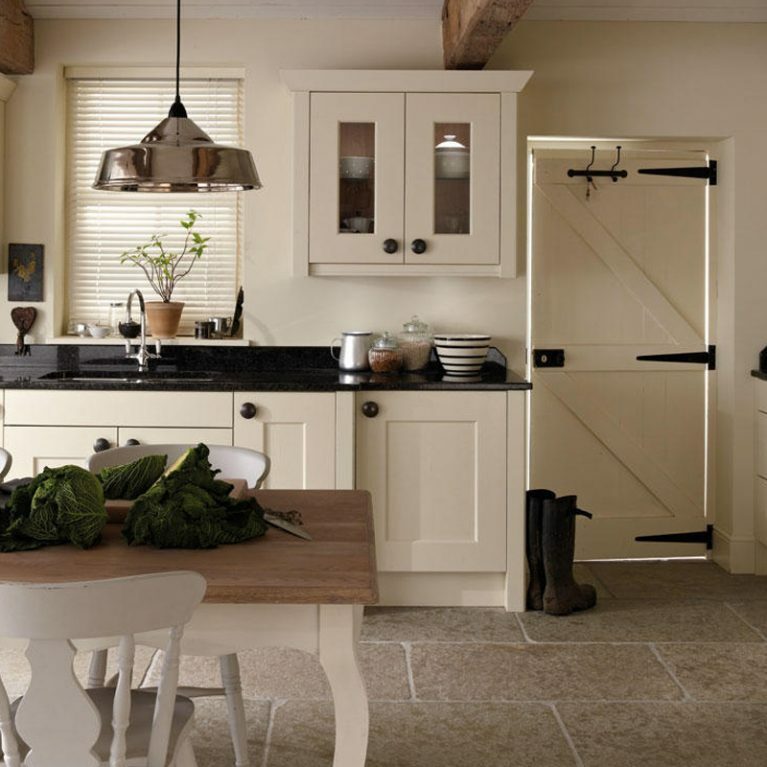 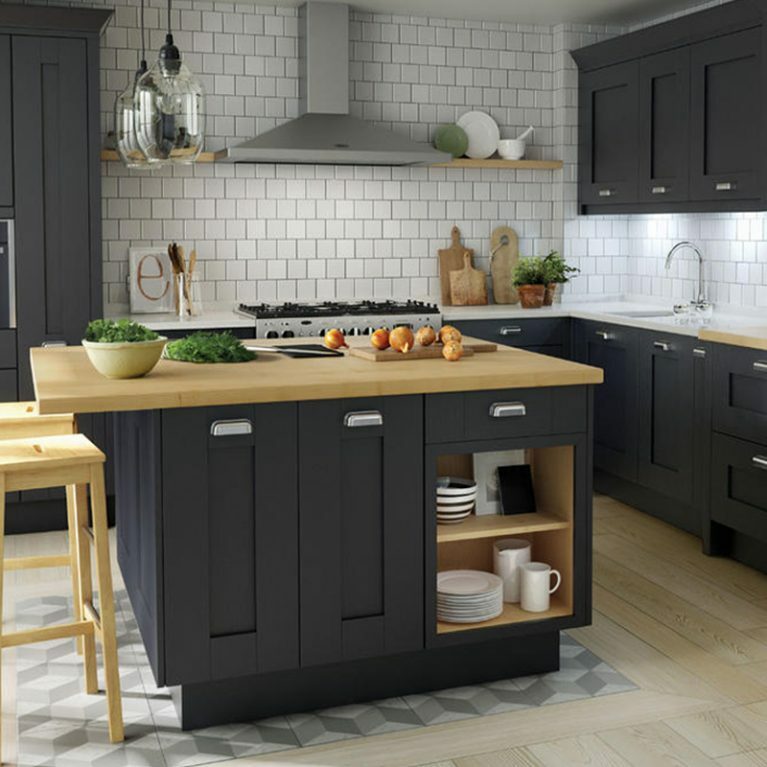 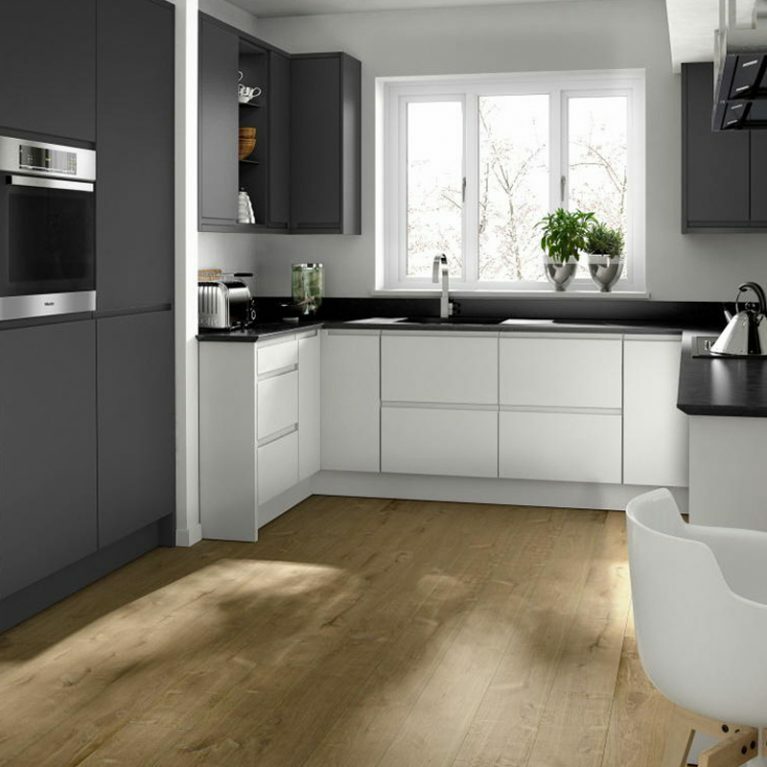 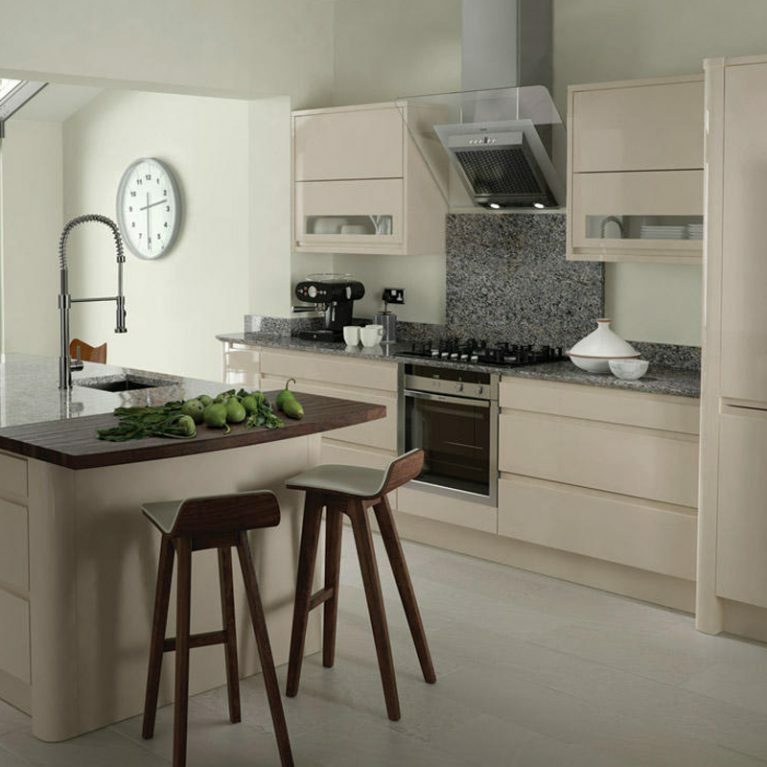 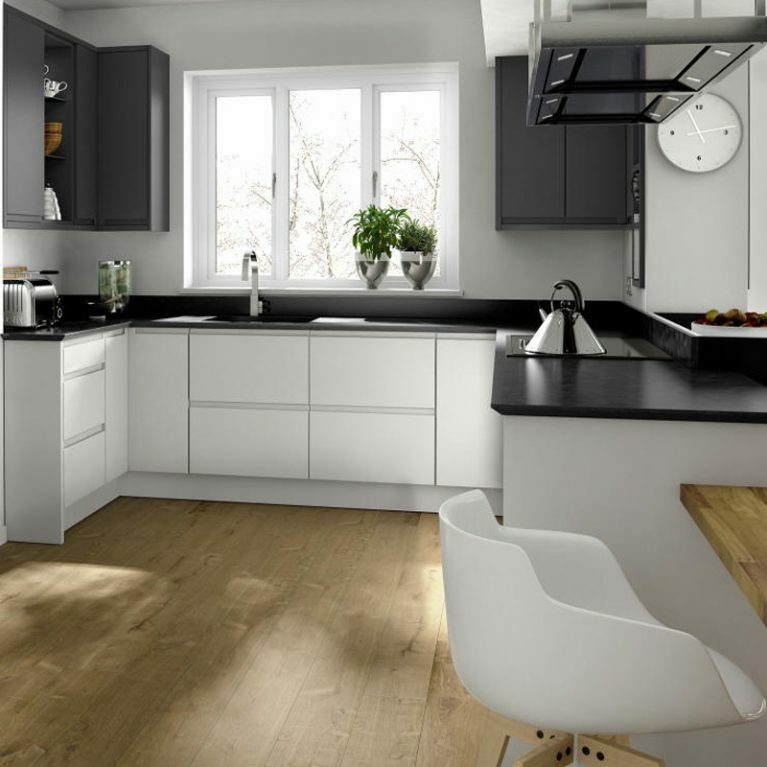 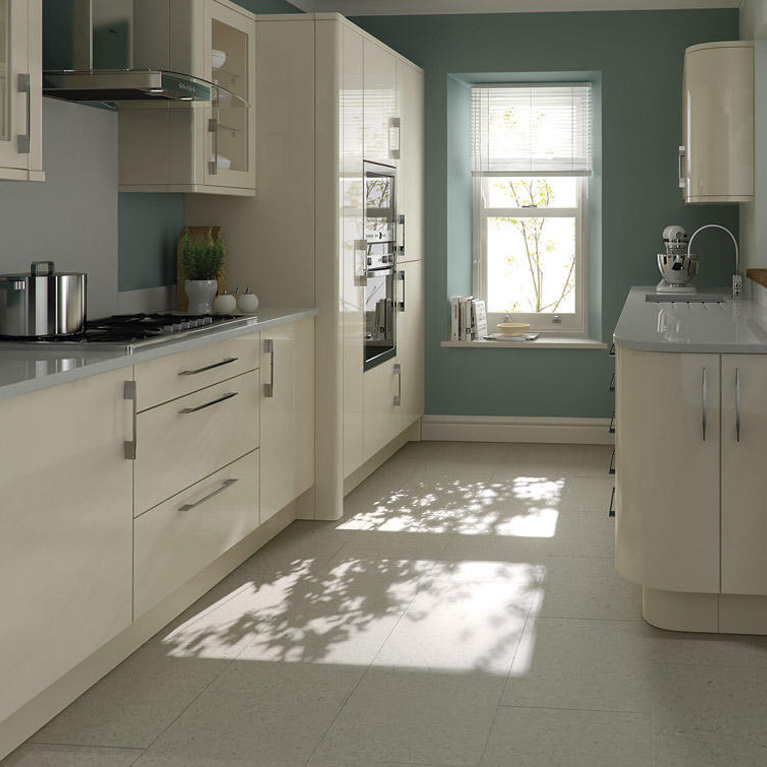 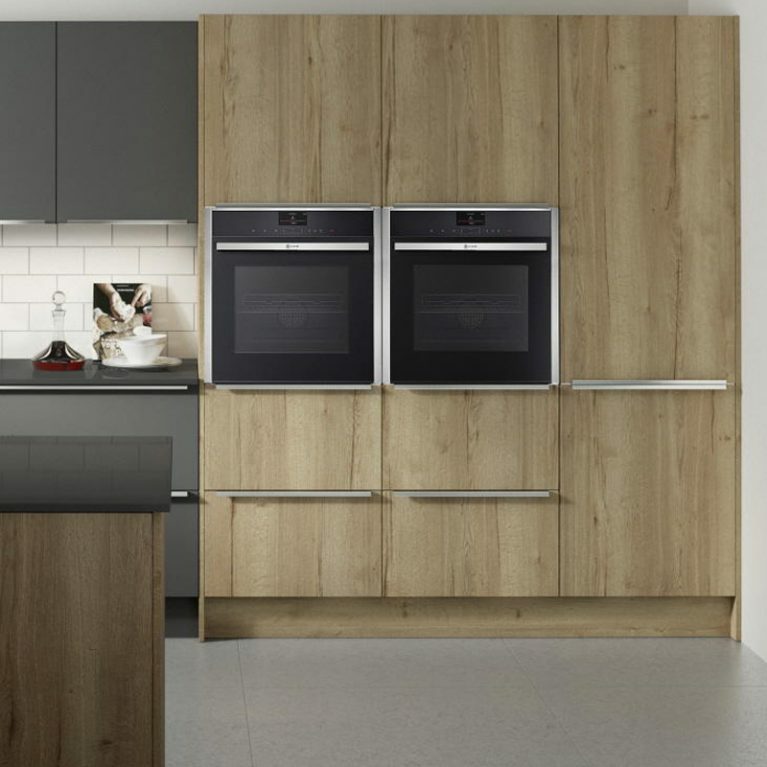 The chunky frame of the Milbourne Painted kitchen cupboard doors create a wonderfully cool and contemporary look for your kitchen. 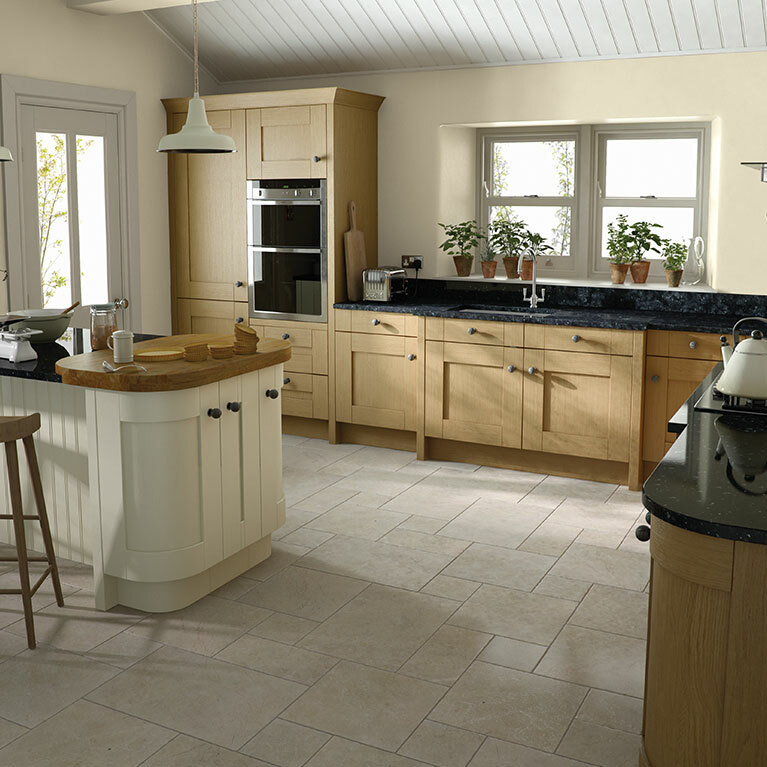 The design is finished with a subtle texture, adding depth to the look and making the end result even more special. 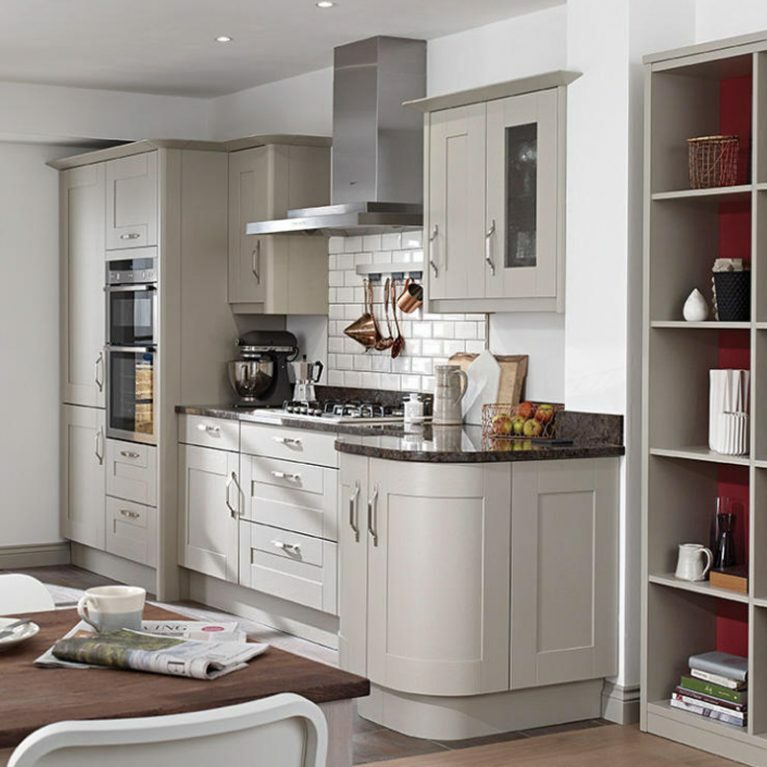 There are a range of upper and lower cupboards creating a range of storage opportunities with the Milbourne Painted kitchen. 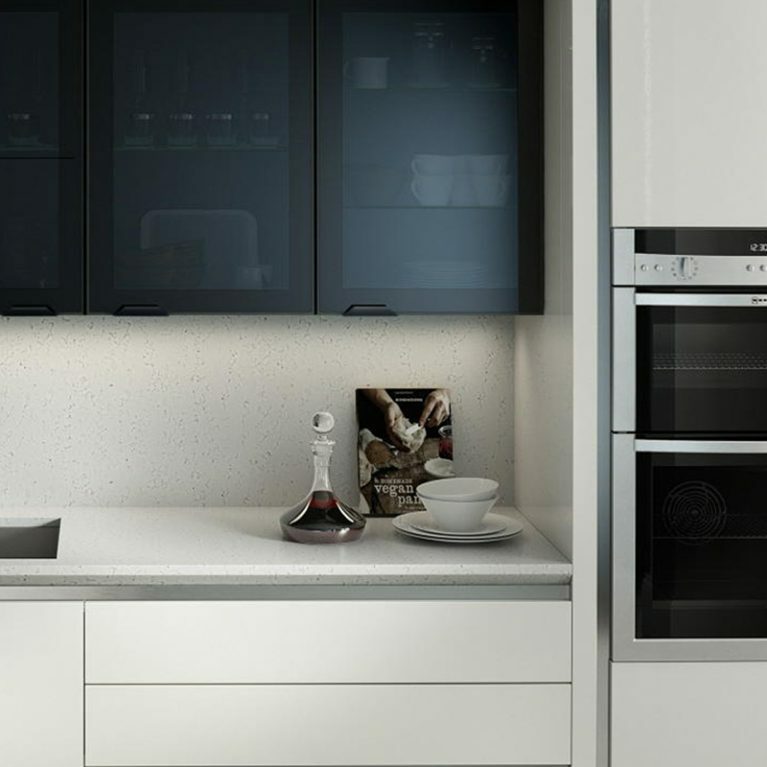 Each of your appliances and kitchen accessories will have a home, helping to keep your kitchen clear of clutter and looking beautiful for years to come. 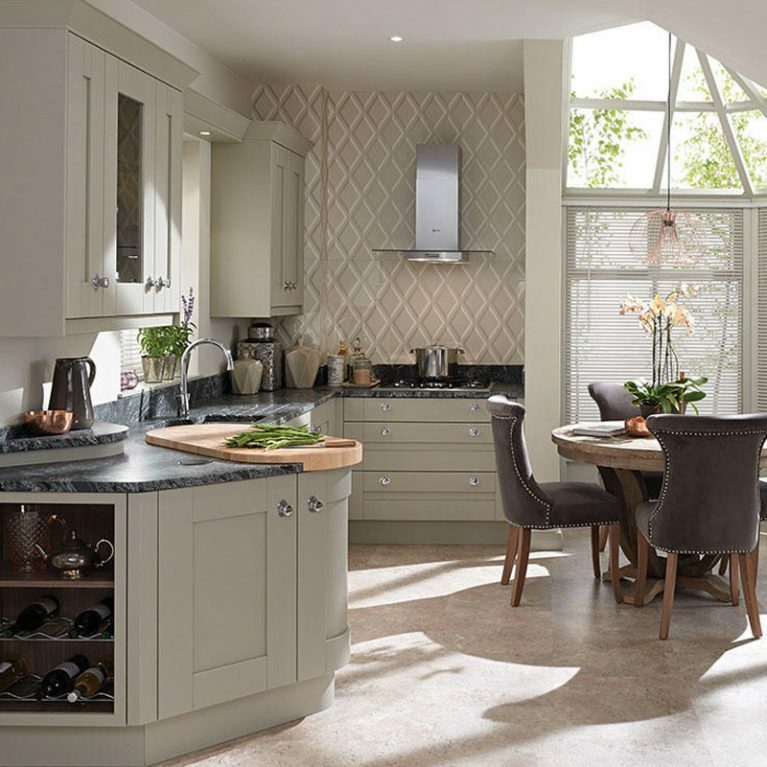 Open shelves offer a wonderful display area within your new kitchen, allowing you to showcase some of your favourite products and create a feature area within your home. 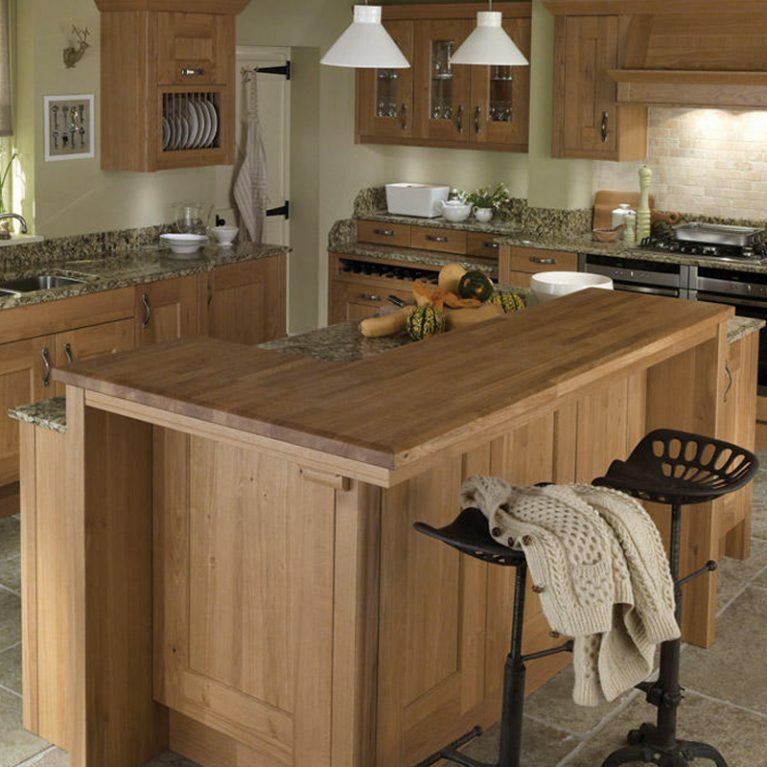 A gorgeous kitchen island offers even more storage space, as well as an area for you to pop in some seating and creating a wonderful space for dining and entertaining within your new kitchen.